Any opinions expressed in this memoir are those of the author(s) and do not necessarily reflect the views of the National Academy of Sciences. Paul’s father Fred never went to school in America; he had to go right to work to support himself, first in a laundry, where he soon became a foreman, then in a machine-tool factory. Clara Herget finished two years of high school; she was a firm believer in education, and she always encouraged her only son (Paul had two younger sisters) to go as far as he could. Paul believed that the most influential factor in his childhood was his Erector set, which stimulated his geometrical thinking, mechanical abilities, and sense of order. He also benefited from his Boy Scout experiences and from the mobility and skill with tools that came from owning a bicycle. Paul’s mother supported him in everything he wanted to do, especially schoolwork; he remembered his father as a harsh taskmaster, a “typical German father,” who often disciplined him. Paul resented it then, but in later life felt that it had shaped his character. Paul went to Oakley Public School and then to Withrow High School. He was a good student in all subjects, especially in mathematics. In his last two years at Withrow he was greatly inspired by his mathematics teacher, Helen Swineford, whom he later considered the greatest single influence on his career. Paul worked in summer jobs at the machine tool factory with his father; after he graduated from high school in 1926 he got a temporary position as a surveyor with the Cincinnati Gas and Electric Company. The program alternated terms of going to school and working in industry; students earned their tuition and living expenses at the same time they started putting their engineering education to practical use. Civil engineering was at least close to mathematics, Paul thought. But after only a few weeks he realized that it was not close enough for him. He withdrew from the university and got a full-time job as a surveyor. By rigid economy, he was able to save a thousand dollars in one year. That sum enabled him to enter the College of Liberal Arts in 1927 as a full-time mathematics student, as he had wanted to do from the first. 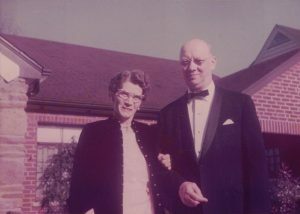 Teaching was the only future he could envision in mathematics; he took a minor in education so that he could get a high school teacher’s certificate and follow in Helen Swineford’s path. He disliked and resented the education courses he had to take, but he graduated in 1931—the worst part of the Great Depression—with an A.B. degree. Paul was offered a job as an assistant at the Cincinnati Observatory, which paid $1,020 a year. To him the job was just like a ”real good fellowship” that would pay his living expenses and allow him to continue his education as a part-time graduate student. He snapped it up. The Cincinnati Observatory is the oldest astronomical research observatory west of the Alleghenies. It was founded in 1843 by Ormsby McKnight Mitchel under the auspices of the Cincinnati Astronomical Society and was originally funded by small contributions from the general public. Its 12-inch refractor was a big telescope by the standards of the time. Former President John Quincy Adams came west to speak at its dedication; later the observatory became part of the University of Cincinnati. By 1931 the 12-inch and the newer 16-inch refractors were not significant research instruments, and the main program of the Cincinnati Observatory was the accurate meridian-circle measurement of the positions of stars in order to determine their proper motions. On the recommendation of his mathematics professors, Paul Herget was hired as a computer to reduce these observations. Paul was always fascinated by computing. As an undergraduate he was intrigued by the idea of numerically evaluating p to high precision. Using what he considered the best rapidly convergent series, he took a large sheet of wrapping paper, and with a lead pencil as his only computational device calculated p to thirty-two decimal places. Years later he checked it—he had kept a copy, as he did of most of his computations-and found that he had gotten the first twenty-eight places correct. As a graduate student, after studying higher-order interpolation, he produced a two page table that gave sines and cosines of any angle correct to eight decimal places. This was his first scientific publication. 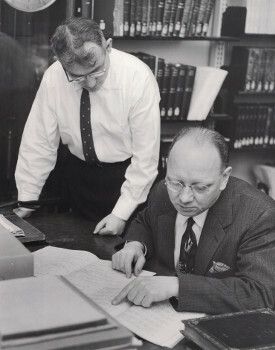 Working at the Cincinnati Observatory under director Everett I. Yowell and Elliott S. Smith, Paul still considered himself a mathematics graduate student. He took courses from Charles N. Moore and Harris Hancock, who had recommended him for the assistantship at the observatory. He was strongly influenced by Louis Brand, a younger mathematics professor, who emphasized the power of vectors to express complicated formulae in simple terms. Herget was to use them extensively in all his work, and his book, The Computation of Orbits, is written completely in terms of vectors. He always claimed that spherical trigonometry is not a subject but only two vector equations, the dot and cross product, repeated over and over again. Harriet Louise Smith, his high school classmate, longtime sweetheart, and the daughter of Elliot S. Smith, his superior at the Cincinnati Observatory. Paul then received an Alexander Morrison Fellowship and spent one year at the University of California as a postdoctoral research associate. Armin O. Leuschner was the head of the Berkeley Astronomy Department and a very senior expert in orbit computation. As a young man he had developed “Leuschner’s method” for calculating the orbit of a new comet, and Herget delighted in pointing out the situations in which it failed in practice and in which his own method, based on Gauss’s original scheme, was better. Leuschner in the end told Herget that he was too opinionated and that he acted as if his name were “Herr Gott” [the Lord God]. Nevertheless, Herget— supremely self-confident—learned what he could from Leuschner and continued to go his own way. At the end of his year in California, Paul nearly got a job as a lecturer at the Griffith Planetarium in Los Angeles, which would have taken him out of research. Fortunately for astronomy, another candidate was judged a better speaker. Paul, however, let the University of Cincinnati administration know that he was thinking of going elsewhere, and they promptly raised his salary to $1,650 a year to bring him home. After his return to Cincinnati in 1936, Paul undertook the project of determining the orbit of one of the minor planets discovered by James C. Watson. A pioneer American student of asteroids, Watson had left in his will an endowment fund to support research on the ones he had found. Leuschner had been directing work on them over the years. Aethra (132)-the most difficult because it had the largest eccentricity-was the one Herget tackled first. After he had completed its orbit he continued to work on one minor planet at a time, in cooperation with Gustav Stracke at the Rechen Institute in Berlin. Herget was what the Germans called a Mitarbeiter; or collaborator. After World War II, the personnel of the Rechen Institut were split between the Russian and Western occupation zones. Dirk Brouwer, president of Commission 20 of the International Astronomical Union, was responsible for getting the minor planet work organized again. After discussions with H. Spencer Jones, president of the International Astronomical Union, Brouwer asked Herget to operate a minor planet center. Paul was familiar with what was required from his previous activities, and he readily agreed. President Raymond Walters of the University of Cincinnati supported his decision. Herget then arranged for Eugene Rabe, one of the younger Rechen Institut members in the Western zone, to join him in Cincinnati. He also obtained an appointment at the Observatory for Peter Musen, who was a native of Yugoslavia. They began their work by recording each minor planet observation made after 1939 on a punched card so that all their computations could be carried out on punched-card equipment. To obtain observations of the minor planets, Herget loaned the 10-inch astrographic camera that the University of Cincinnati owned to Frank Edmondson at Indiana University. Edmondson built a blink machine and acquired a measuring engine so that he could provide accurate measurements of asteroids upon request. This program provided the Indiana students with a continuing project and a means of learning the processes of taking and measuring minor planet positional observations. From 1947 to 1978 Herget was director of the Minor Planet Center of the International Astronomical Union. During that period, 4,390 Minor Planet Circulars were published. The best computer—or punched—card equipment to which he had access was used for the computations of the elements and ephemerides of the minor planets included in these circulars. punch, and sorter, which were used to prepare the Air Almanac. Herget’s job was to convert the preparation of parts of the American Ephemeris and Nautical Almanac by means of the punchedcard equipment. During this period he also performed the computations for the “submarine book,” a task that gave him the greatest satisfaction of his lifetime. In 1943 the losses of Allied convoys had reached 30 percent. The German submarines would radio their headquarters when they sighted convoys. The Allies had 108 listening posts around the world that could pick up the directions of these radio signals. With tabulated solutions of about a quarter of a million spherical triangles, these observations were used to pinpoint the locations of the submarines to within five miles. Destroyers could then use sonar equipment to locate them and drop depth charges. Herget and Eckert did all the necessary calculations within three months, working only at night because the punchedcard machines were in use all day on the Air Almanac and Nautical Almanac. Once the submarine book had been printed and put into use, Allied losses went down to about 6 percent. 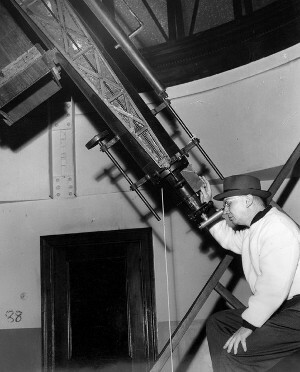 After returning to the University of Cincinnati in 1946, Herget continued to maintain a close working relationship with the Naval Observatory. His research results—”Rectangular Coordinates of Ceres, Pallas, Juno, and Vesta,” ”The Solar Coordinates, 1800-2000,” and the “Coordinates of Venus, 1800-2000″—were all published in the Astronomical Papers of the American Ephemeris. In 1928 Ernest W. Brown, the eminent celestial mechanician and author of Lunar Theory and Tables of the Moon, visited Europe. He saw that Leslie J. Comrie was using punch cards to compute the lunar ephemeris and proceeded to support Eckert’s acquisition of punched-card equipment. Herget recognized the advantages of such equipment and followed Eckert’s leadership. 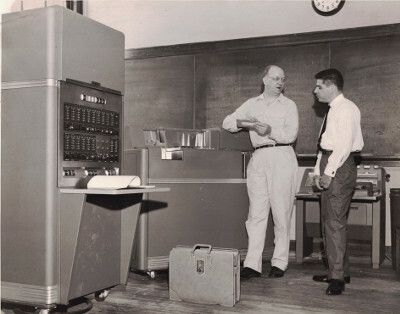 From 1947 to 1951 the Cincinnati Observatory had an IBM tabulator, multiplier, sorter, and reproducer; after 1951 Herget used computing equipment—when it was available—at the Procter & Gamble Company, the General Electric Company, and the Cincinnati Gas & Electric Company. He worked with the computers only when company employees were not using them—usually at night or on weekends. He would also exchange computer time for lectures to the employees or technical advice on their problems. As a result of such cooperation, the Cincinnati Gas & Electric Company still uses the Julian Day Number system in preparing its bills. Over the years Herget used many different models of tabulating equipment and computers, progressing from the multiplier through the IBM 603, 650, 1620, Naval Ordnance Research Calculator (NORC), and 360. 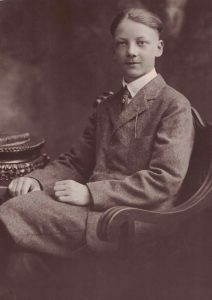 The NORC was his favorite machine, “the greatest love of my life, after my wife and daughter.” Herget found that by spending two weeks at the NORC he could get a full year’s work done. Throughout his career the common thread was the application of computer technology to real problems. It was in this area that he advised the Air Force Mapping and Charting Laboratory and also maintained the Cancer Registry at the University of Cincinnati. But it also led to a number of larger projects. In 1944 and 1945 Herget was a consultant for the Manhattan Project at Oak Ridge, Tennessee. And from 1951 to 1957 he was a consultant for the Project Atlas Intercontinental Ballistic Missile effort at Convair. In this effort he formulated the system for computing the ballistic trajectory for the missiles, including all the known effects that would perturb the trajectories. 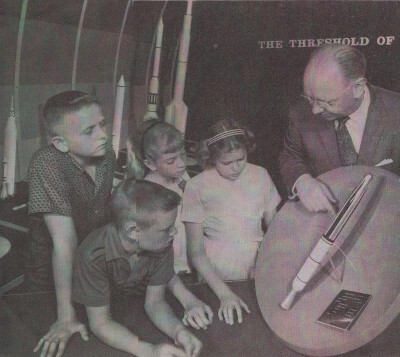 In 1955 President Dwight D. Eisenhower announced that America would have a space program. Following that announcement, each of the organizations that wanted to set up and operate the satellite computing program contacted Herget. He reasoned that only one of them was going to win, and agreed that he would participate in the proposals from Univac, the Army Map Service, and the Naval Research Laboratory. That way no matter who managed the program, he would be on the team. In 1959 he spent a week with IBM writing their proposal for the Mercury Project. After IBM got the contract, he set up the computer program for calculating the orbits for Mercury launches. The research of Paul Herget centered around orbit computations and the use of computer programs. Early in his work he realized that the site of the Cincinnati Observatory was not ideal for observations because it was surrounded by a large industrial city. Therefore he entered into cooperative activities with Indiana University so that the required observing could be done there. He strongly supported public use of the Cincinnati Observatory; amateur astronomers came to the observatory to make mirrors, and public tours were held on a regular basis. The observatory library and punched-card files were well kept up, but the telescopes were maintained only to satisfy the public tour requirements. Most of the effort of the personnel at the Cincinnati Observatory was directed toward the Minor Planet Center and related research. Herget responded to educational requirements in a manner consistent with his own background and philosophy. An outstanding research professor, Herget enjoyed the confidence and support of University of Cincinnati presidents Raymond Walters and Walter C. Langsam. Paul always financed his research chiefly from outside sources. His well-timed news releases and newspaper stories, his outgoing personality, and his background and sympathies—so much in tune with those of the engineering executives of many large Cincinnati industrial plants—brought him support on the local scene. Astronomers recognized him as a top expert in celestial mechanics, and he had no trouble getting modest NSF and NASA grants for travel and publication costs. If he needed a little seed money for a project he could usually count on getting it from the president’s office. In response to the launching of Sputnik, the University of Cincinnati established its Institute of Space Sciences, with Herget as director. At the same time, a related graduate teaching program was initiated. There were a limited number of students, and their courses were restricted to dynamical astronomy and applied mathematics, directly reflecting Paul’s own education. He was a firm believer in teaching and learning by doing: he taught students to operate the computer by taking them into the computer room, showing them how the computer performed a given program, handing them decks of cards, telling them to “do it yourself,” and leaving the room. In this graduate program Herget supervised the M.S. theses of James D. Wray and Conrad M. Bardwell and the Ph.D. dissertations of J. Derral Mulholland and P. Kenneth Seidelmann. Rabe supervised the Ph.D. dissertations of S. C. Pilet and Allen F. Schanzle. The program was discontinued, however, after only four years. Paul was seen by many of his colleagues on the University of Cincinnati faculty as a great scholar who did not make much of a contribution to the teaching program. He did not believe astronomy should be taught at the undergraduate level. Without a doubt, however, he was the most influential person at the university in the development of its computing facilities and its Computer Laboratory from the 1950s through the early 1970s. His knowledge of computers and their use, and his close relationship with the manufacturers of computing equipment, were invaluable in determining the route the university took in this field. Of equal or greater importance was the instruction, both formal and informal, that Paul gave to faculty members and graduate students regarding the importance and use of computers. He was thus extremely influential in the development of computers for education and research at the University of Cincinnati. Herget always maintained that he was fortunate: throughout his life he was able to do what he wanted to do and be paid for doing it. In 1971 he stated: “A lot of people spend their time playing bridge. I’d rather program a computer.” He never really saw any need for vacations, for he felt that he traveled enough on business to see everything he wanted to see. If he were to be gone for a long period of time, he would take his wife with him so that she could enjoy the trip as a vacation. He often emphasized that he did what was within his own competence, and he sought to develop that competence. He was not particularly interested in the origin of the solar system or in how the universe began. He took them as they were, and tried to perfect his ability to calculate their motions. In response to questions concerning the interests of other astronomers and what other scientists were doing, he would say: “To each his own.” Although Paul expressed little if any interest in the physical properties of asteroids—or in their origin or evolution—his work played a part in the renaissance of physical studies of these objects that began in the 1960s. For twenty years when there was very little interest in minor planets elsewhere, he had archived the positional observations and used them to calculate orbits and ephemerides. His powerful self-confidence did much to keep the subject alive in the face of the massive indifference of most other astronomers. Moreover, he had so improved the standards of orbit determination that there is now no significant chance that a numbered asteroid will ever be lost. This was not always the case in earlier years. Herget acted as an adviser to Gerard P. Kuiper, who organized the survey (with a 10-inch Ross camera at McDonald Observatory) that provided good statistical data on minor planets as faint as sixteenth magnitude. Later Paul participated in the Palomar-Leiden survey, based on observational material obtained with the 48-inch Schmidt telescope, that extended these statistics down to twentieth magnitude. He did all the reductions of the positional measurements (with an IBM 1620) and also calculated (with the NORC) the orbital elements for the 1,800 asteroids found in this survey. Subsequent discussions of asteroid size distributions, collision rates, and orbital-parameter distribution functions depend almost completely on these data. Herget was a great asset at astronomical meetings. During the scientific sessions he never hesitated to ask questions or to express criticisms. He did not do this in a vicious or belittling fashion but in a way designed (or at least intended) to develop the best method or to indicate the weaknesses and fallacies of other ideas. During the evenings at these meetings, Herget was a great raconteur. In the 1930s the American Astronomical Society featured speakers at its banquets; Joel Stebbins and Philip Fox were two of the regulars. In 1939 the Society officers decided that one of the younger members should also go on the program, and Herget was selected. As he told it, he started out by saying: “I am at a tremendous disadvantage because I am unable to take a poor, weak story and stretch it as thin or long as Joel Stebbins can.” Over the years, he demonstrated his very real talent for telling stories. Fortunately, his lifetime provided him with a rich history of experiences upon which to draw. In small groups Herget was a vivid conversationalist. He had strong opinions and enjoyed defending them. A memory many of his friends have of Paul is of him sitting at his worktable calculating with his left hand on an old Friden machine, doing long products by ear without ever looking at the multiplier register, recording the results in pencil on a huge computing form with his right hand, and all the while delightedly telling, in his marked Cincinnati accent, stories of which he was invariably the hero. Over the course of his long professional life, Paul Herget received many honors. In 1962 he became the sixth Ohioan to be elected to the National Academy of Sciences in its century-long history. In 1970 the president of Commission 20 of the International Astronomical Union, Frank Edmondson, used his authority to name minor planet 1751 “Herget.” Paul received the Academy’s James Craig Watson Gold Medal in 1965 and the Dirk Brouwer Award of the Division on Dynamical Astronomy of the American Astronomical Society in 1980. In his hometown Herget was widely recognized as “Cincinnati’s best known astronomer,” the acknowledged local expert who was always interviewed by the newspapers on any astronomical story from artificial satellites to the distant reaches of the universe. The Cincinnati Technical and Scientific Council, of which he was a longtime member, named him Engineer of the Year in 1957, and the University of Cincinnati Alumni Association awarded him its William Howard Taft Medal in 1965. Paul considered this award especially significant because as a high school student he had received financial aid from the Cincinnati Scholarship Foundation, an organization headed (and financed) by Louise Taft Semple, niece of the former president and chief justice. The university recognized his outstanding research work by appointing Herget a fellow of the Graduate School in 1957. 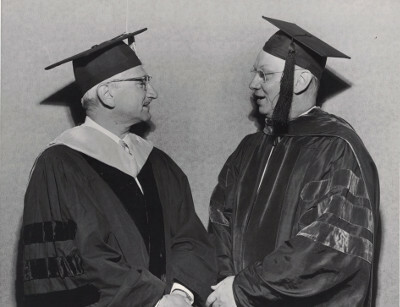 At the 1965 commencement exercises, he received the title of Distinguished Professor of the University of Cincinnati. Only one other faculty member had a similar appointment—Albert B. Sabin of the Medical School, the developer of the polio vaccine. In 1973 Herget received the Governors’ Award from his home state, and in 1974 his fellow faculty members at the University of Cincinnati gave him its George Rieveschl Award for Distinguished Scientific Research. In 1969 he had received the first honorary Sc.D. degree granted by Edgecliff College (formerly Our Lady of Cincinnati College); in 1978, when he retired, the University of Cincinnati awarded him its Sc.D. Paul was not happy with his alma mater in his last few years. He could not succeed in convincing the University of Cincinnati to ensure the continuity of the Cincinnati Observatory according to his own wishes. Although he had many scientific friends, business contacts with industry, and friendships within the university, there had been a change in the times and a change in attitude among faculty members. There had also been a significant change in the University of Cincinnati. It was a municipal university supported largely by city taxes. As the cost of quality education went up, the taxpayers—as they tend to everywhere— rebelled. The university’s graduates had become accustomed to looking further afield for jobs, and the city’s machine-tool, chemical, and electrical companies had begun recruiting engineers nationwide. Cincinnati was no longer dependent on its university and its College of Engineering. The University of Cincinnati gave up its close financial ties with the city and became part of the Ohio state university system. A small tax rate that had been written into the city charter years before as a permanent source of income for the Cincinnati Observatory was also given up by the university negotiators—over Paul’s bitter objections— in the act that transferred ownership to the state. With Herget’s retirement imminent and the future of the Cincinnati Observatory uncertain, in 1977 the International Astronomical Union decided that it had to arrange for the continuity of the Minor Planet Center. The IAU subsequently moved it from Cincinnati to the Smithsonian Astrophysical Observatory of the Center for Astrophysics in Cambridge, Massachusetts. Moreover, after Paul’s retirement, the university administration decided to merge the observatory into a new department of physics and astronomy and to make future appointments in astrophysics. Thus the proud reputation of the Cincinnati Observatory as a center for excellence in celestial mechanics and a leading source of research results in that field ended with the retirement of Paul Herget. 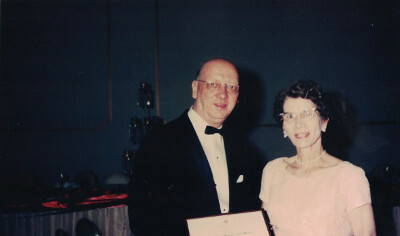 In 1965 Harriet Herget had developed cancer, and in the course of her treatment Paul met many of the outstanding physicians on the University of Cincinnati Medical School faculty. Deeply moved by his wife’s illness, Paul worked directly with doctors at Holmes Hospital in developing a computer program for the Cancer Control Council Neoplastic Disease Registry, which contained data on tens of thousands of patients. He also contributed a very large sum of money (particularly for a university professor) to help establish a Cobalt Therapy Unit at Holmes Hospital, and personally solicited two other large donors for it. After several remissions and several renewed bouts of illness, Harriet died on March 12, 1972. Later that year Paul married Anne Lorbach, the secretary of the Cincinnati Observatory, who had lived just down the street from it since childhood. After his retirement Paul and Anne did more traveling around the country-now that his job was no longer his hobby. One event that was particularly memorable to him was a Symposium on Star Catalogues, Positional Astronomy, and Celestial Mechanics and a testimonial dinner in his honor in Washington in 1978, which was organized by Paul’s friends at the U.S. Naval Observatory. Paul died in his sleep at his home at 3522 Herschel View, near the Cincinnati Observatory, on August 27, 1981. He was survived by his widow and by his daughter, Marilyn Jean Herget, of Cleveland. Paul Herget was an outstanding practitioner of a very specialized but highly important branch of astronomy. His orbit calculations were widely known, trusted, and used. He was not only an expert at numerical computation, but a skilled theoretician with the insight necessary to cast practical astronomical problems into forms well suited for solution with available computers. During his lifetime he converted a little observatory, at a poor site, and without a large telescope, into a briefly important research center known throughout the world for its scientific results. This Biography is based on Paul Herget’s published papers; his scientific correspondence, now mostly on deposit at the U.S. Naval Observatory in Washington; his correspondence with various Lick Observatory astronomers, preserved in the Mary Lea Shane Archives of Lick Observatory; his autobiographical sketch, on file at the National Academy of Sciences; the file of newspaper clippings and news releases about him at the Office of Information Services of the University of Cincinnati; and the transcript of a far-ranging interview he gave David DeVorkin in 1977, which is on file at the American Institute of Physics. We also benefited from the recollections of his friends and colleagues—and not least from the memories of two once-young Cincinnati boys whom he inspired to become astronomers.